Harmony Hill Stables Provides A Beautiful Learning Environment, Especially For Young People. This covers all aspects of Horse Care with access to various levels of involvement. Opportunities for working with horses are abundant. 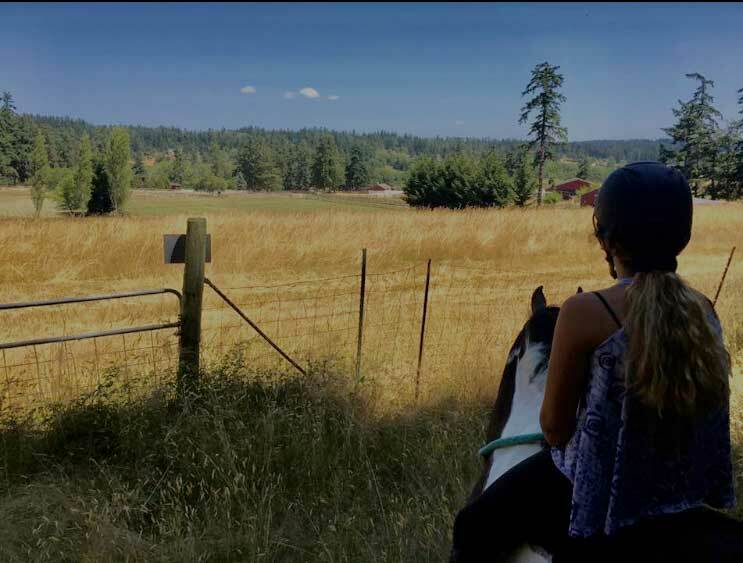 Harmony Hill Stables is located on sea-washed Whidbey Island, Washington on 10 lovely acres adjacent to the Land Trust Trails Of Trillium Woods. Owned and operated by Sarah Moulton, Harmony Hill is a warm, family-oriented Hunter/Jumper stable. 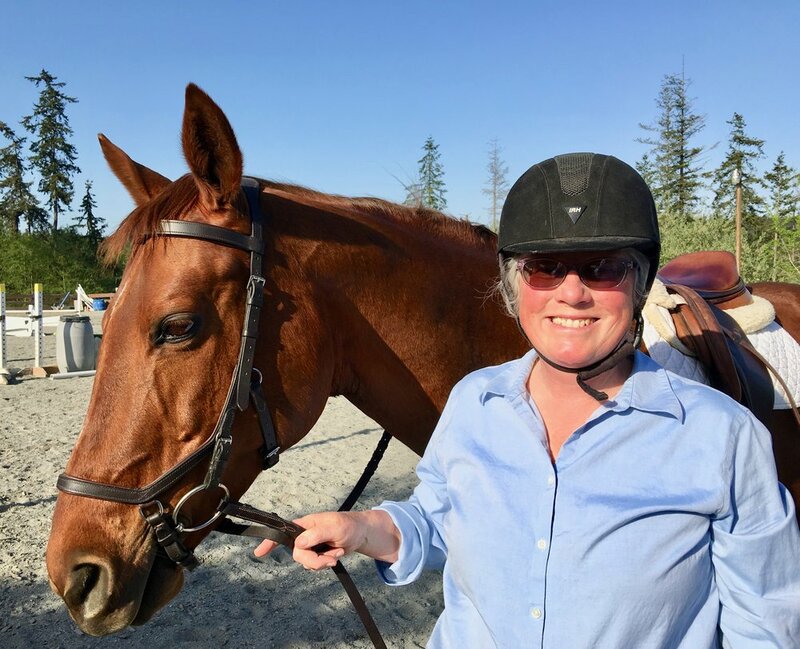 Award-winning master trainer Sarah Moulton, ran Horsely Equestrian Center in Sonoma, California for 18 years before moving to Whidbey Island in 1998. 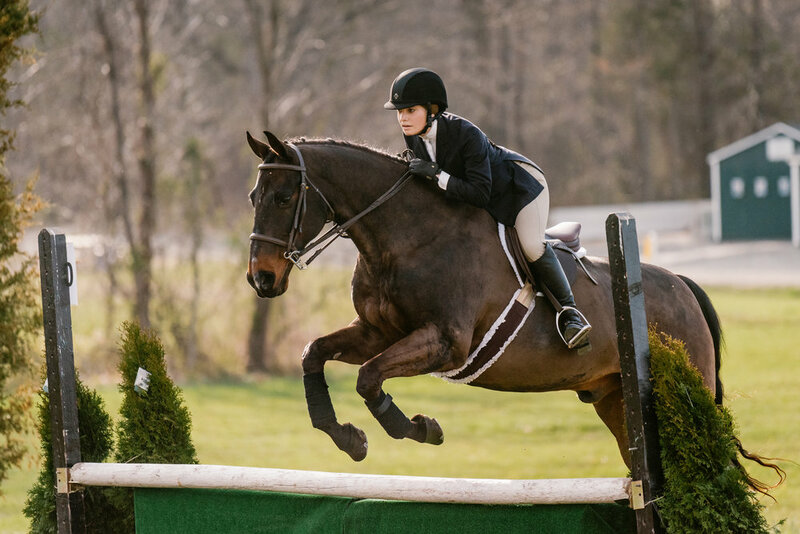 Her students have qualified for many year-end awards in the Hunters and Equitation Divisions and brought green riders and green horses from the field to success on the show circuit. Our community centered barn teaches riders of all ages in equitation. Our instruction is grounded in flat work, jumping, with an emphases on basic dressage skills. We inspire a diversity of students to a finer performance with their horses. We celebrate sound horsemanship, cooperative work ethic, and lots of fun. Lessons are all grouped by skill and ability of rider and are given in our all weather sand arena which includes a full course of jumps, dressage letters, and elevated observation seating with a fabulous view! Professionally trained school horses are available for beginning and intermediate riders. Students are welcome to trailer-in their own horse for use in lessons. $60.00 - This is for drop-ins and people unable to ride regularly. *This rate can be shared among family members. "Thanks for the great summer of horse lessons for Caitlin & me. I really appreciated how wonderfully you handled Caitlin! Not many people can teach small children. You are one of the few that does an incredible job. I was also impressed at how good you were teaching girls (+ me) of different levels at the same time. That's also a lot harder than most people think! Thanks for a wonderful summer. See you next summer!" Beautifully trained horses, on site, are available for whole or half lease. Leasing is a great way to step into horse ownership and showing without the financial commitment of purchasing a horse. You'll get access to lots of hours in the saddle. We have boarding available at our facility. Harmony Hill is a cooperative stable. Boarders and lessors are an important component in the care and feeding of our horses. When keeping a horse at Harmony Hill individuals are required to spend one day a week feeding and cleaning. Harmony Hill provides excellent training for your horse. We offer individual training rides as well as training packages. Short term boarding is also available for training purposes. Optional Help around the stable on Saturday is welcome! The forest behind Harmony Hills Stables links to miles of Trillium Wood trails. 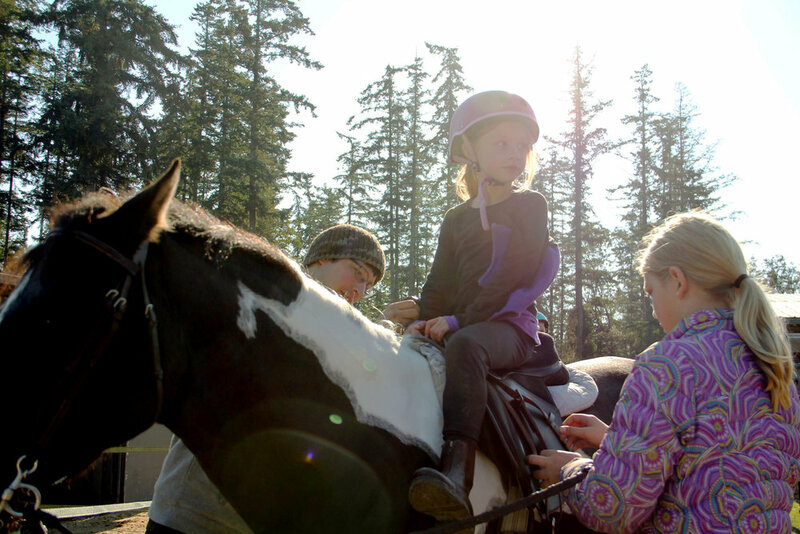 When I first moved to Sarah’s, I had never truly seen what it meant to horseback ride. From cleaning stalls to feeding, grooming and tacking up, to braiding and showing. 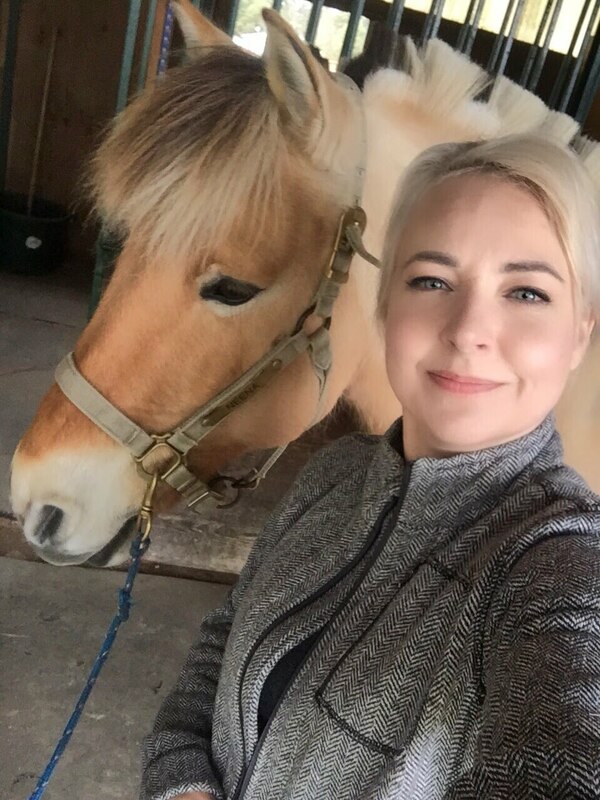 I bonded with the horses, found what they liked and what they didn’t like. I learned a lot of things from Sarah and grew as a rider and person. I leased my first horse, bought my first horse, did my first show and learned that I wanted to become a veterinarian. I was at Sarah’s for 9 years and everyday taught me something new that I could apply to accomplishing my goal. I am currently studying by bachelors in Equine science (Pre – veterinary track) at Centenary University in New Jersey. I also still ride while I’m here and have had the opportunity to ride some pretty impressive horses including ex 1.20 meter jumpers and 3’6 hunters. What I learned from Sarah has helped me adapt to all the different horse’s riding styles. I cannot thank Sarah enough for all her help and support over the years. Sarah Moulton has been one of the biggest inspirations and mentors in my life. Now 20, I began riding with her around the age of 9 and was instantly in love with her kind horses and teaching style. 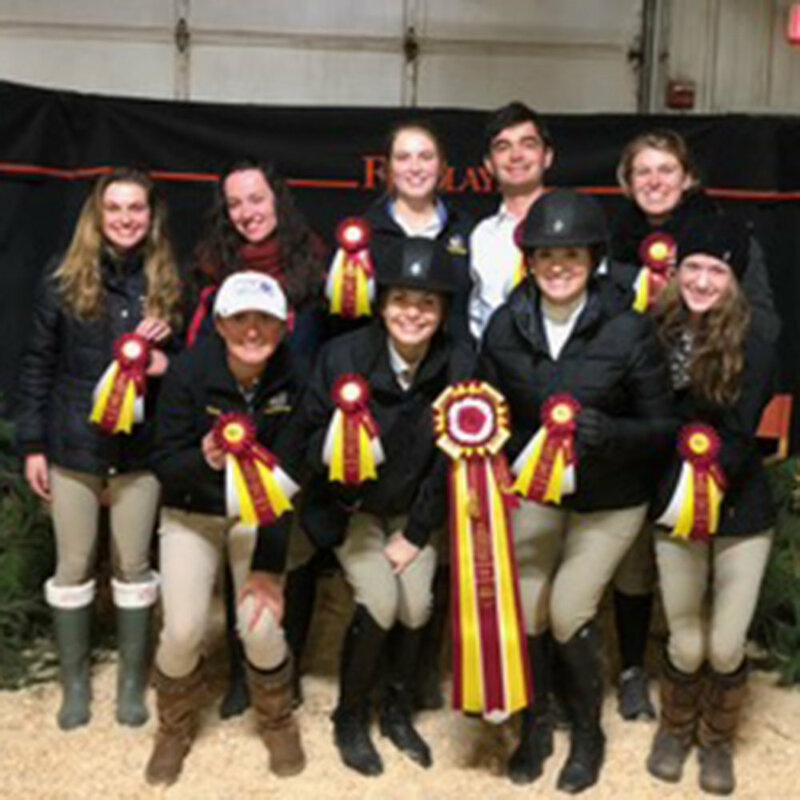 The lessons I have received from her riding program in horsemanship, equitation and horse training, I continue to use in college on Goucher College’s Varsity riding team. I’ve felt very fortunate to have the opportunity to work and learn from Sarah! “From the first horse I leased, the first horse I helped break, and the first horse I owned, Sarah was at my side helping me grow, pushing me past my comfort zone into the rider I am today.” Sarah Moulton has the experience that has allowed me to work through problems presented to me in the horse industry and led me to be a versatile rider and horse women going into the industry today. Local and regional jumping and riding with the best. A little fun with some of pride thrown in for good measure.